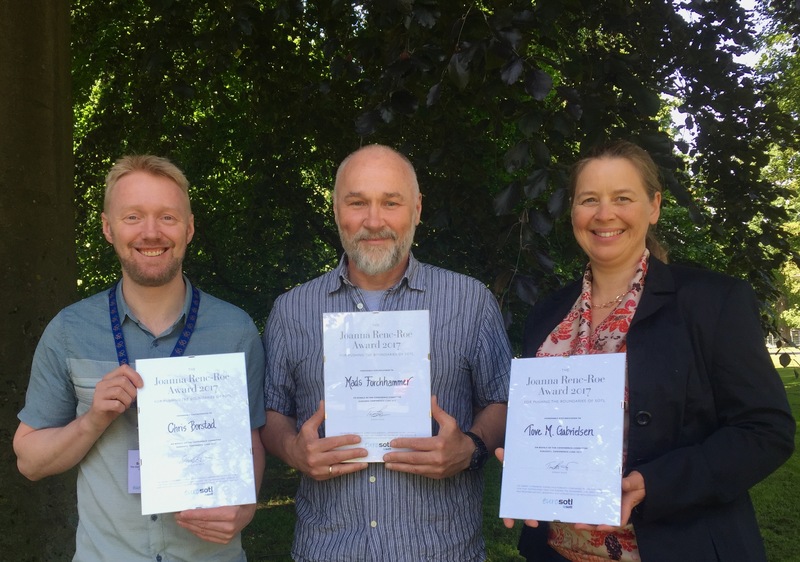 Chris Borstad, Mads Forchhammer and Tove M. Gabrielsen from UNIS were awarded The Joanna Renc-Roe Award – for pushing the boundaries of SoTL at the 2nd EuroSoTL conference, June 8-9 2017, Lund, Sweden. The award was given for the collegial project done by this group at the bioCEED teacher course Collegial Teaching and Learning – in STEM Education: Active learning and course alignment in thematically complex courses. You can read the paper in the conference proceedings here. The Joanna Renc-Roe Award is presented during each EuroSoTL conference to the contribution that distinguishes itself for pushing the boundaries of SoTL.